These Prime Weightlifting Leather Gloves are currently listed on Amazon for the price of $35, and ship fast and free if you are a current prime member. We were very impressed with the quality of these gloves. The description says prime weightlifting leather gloves but to be honest, they are a great general purpose sports anytime you could use some extra grip. My son is in his 3rd year of playing golf and has been using them. These gloves are to light and flexible that they do not interfere with his game. Seeing as we are in south Georgia they also help with the palm sweet that he has had in the past. Since they are easy off and on it's a big plus in removal when they are not in use. They also come with a very heavy duty zipper slide bag that makes for easy storage also. I would advise for you to make sure they are dry when storing and also not completely close the bag also. These are a one size fits all(or most) but had a tag that was L. They are also unisex for men or women. 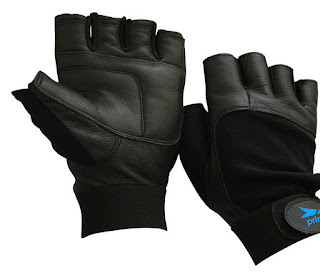 WEIGHTLIFTING GLOVES THAT WILL ENHANCE YOUR FITNESS ROUTINE! - Are you tired of cheap gloves that wear out easily? - Are you looking for quality gloves that offer the best grip on the bar and the best palm protection? - Do you have painful callus and abrasions after each fitness workout? 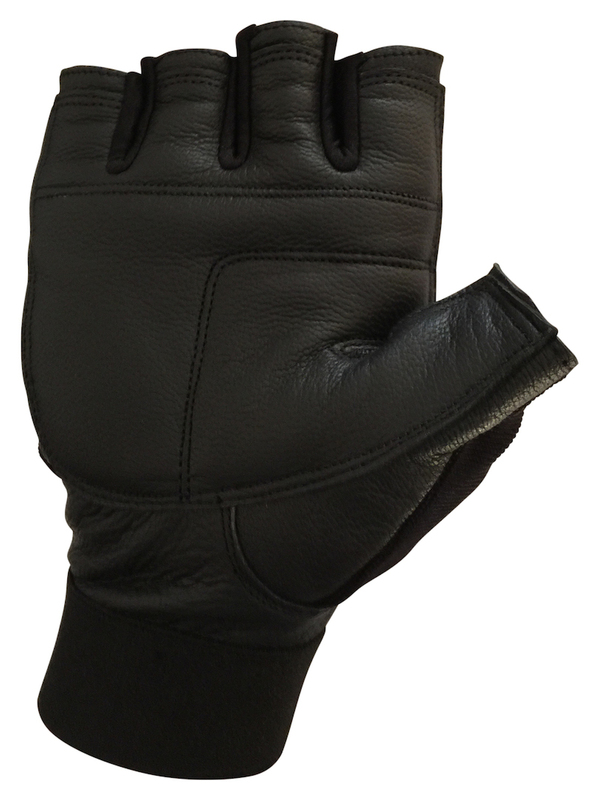 INTRODUCING THE PRIME, GENUINE LEATHER, WEIGHTLIFTING GLOVES! EXPERIENCE OPTIMUM GRIP PERFORMANCE ADVANTAGE AND COMFORT IN FITNESS! 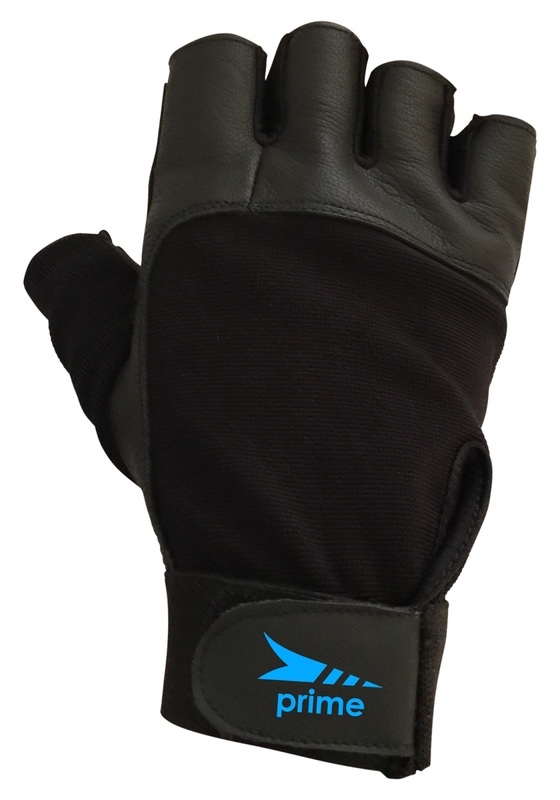 - The weightlifting gloves will provide you with a sturdy grip on the bar and gym equipment. - Breathable stretchable material on the back for a cooler, drier comfortable fit, even during intense workout. - Moisture control leather on the palm side of the glove. No Sweat, No Gain! - Enjoy Fitness For Life! PRIME IS OFFERING THE BEST POSSIBLE QUALITY, DURABLE GLOVES TO IMPROVE YOUR FITNESS ROUTINE FOREVER! The Prime brand is synonymous with exceptional quality and durable products that you can always rely on! - Our product comes with a 30-day money back guarantee and a Lifetime warranty because we believe in it! - Amazon buyers also trust the Prime brand for its quality and integrity. - Thousands of Satisfied Customers Have Chosen Prime products! - We cannot guarantee this sale price for long. Breathable, Spandex on Back for Comfort Fit! Men & Women (Black). Ultimate Grip on your exercise equipment! Absorbs sweat during intense workout!